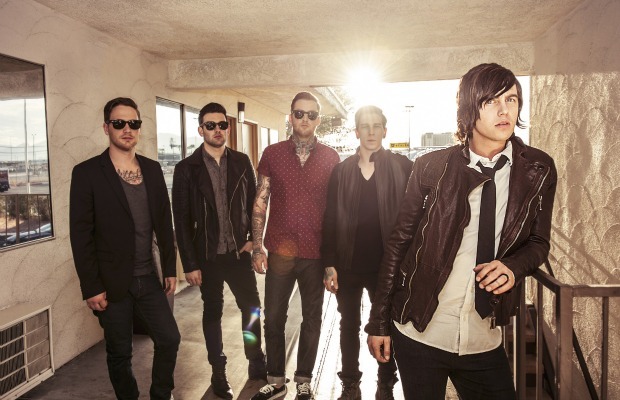 Sleeping With Sirens' frontman Kellin Quinn has revealed via his personal Twitter account that the band are currently in the studio recording new material. Check out the tweet from Quinn below. The band's third, and most recent full-length effort, Feel, was released in 2013 via Rise Records. If you have yet to, you can purchase it now. Sleeping With Sirens are nominated for several categories in the 2014 APMAs, including Best Album, Artist Of The Year and Song Of The Year. Be sure to cast your vote and get your tickets to the event now!